Like any other investment, it’s important to study some factors before buying gold jewellery. These include its purity (18K, 22K or 24K) and its colour. The purest gold is a rich warm yellow. Other colours are less pure mixtures of gold with other alloys. Dubai is one of the most sought-after locations in the world for purchasing jewellery. The city's strategic geographical position, tax-free business system, and strict monitoring processes have turned it into a major hub for buying high-quality jewellery at comparatively low rates. Thanks to the demand, Dubai has an abundance of shops where you can indulge in your passion for jewellery. Located in one of the oldest parts of Dubai, the Gold Souq has a long history. At the souk, you can find splendid designs in pendants, necklaces, earrings and bracelets. If you’re looking for something less conventional, you also have more crafted pieces with red, yellow or white gold. Gold bars and coins are also sold here. Bargaining is not just recommended, but expected! This fashion jewellery brand was founded in Paris and has been around for three decades. Agatha’s jewellery bridges the gap between high fashion and mass-manufactured ornaments. The brand utilises different kinds of materials including metal, threads, beads, shells, and glass. Damas Jewellery Dubai has been a pioneer in jewellery retail since 1959 and is one of the leading retailers in the Middle East. Their high-end boutique provides majestic bridal jewellery and branded jewellery collections like Boudoor, Farfasha, Fior, Diamond Leela, Fairouz, Harmony, Dibla, Al Manthourah, and Aura. Cara offers a delightful collection of customised jewellery for weddings and engagements. Their range includes rings, earrings, necklaces and sets, as well as a stunning variety of engagement rings for the bride and the groom. Dhamani is a high-end store that specializes in precious stones, particularly diamonds – as both ornaments and loose stones. They have been awarded the exclusive right by the Government of Dubai to market the limited edition Dubai Cut diamond. FREYWILLE is a team of passionate artists, designers, goldsmiths and enamel specialists. Since its beginnings in 1951 in Vienna - Austria, the company’s philosophy can be found in artistic achievement, uniqueness, brilliant enamel colours and in highest quality. Art, beauty and exquisite craftsmanship come together in a fabulous expression of creativity at FREYWILLE, the global leader in artistic handmade jewellery in precious fire enamel. Malabar Gold Dubai sells a broad range of hallmarked jewellery in gold, platinum, diamonds and other precious stones, along with a collection of watches. This renowned brand is quite popular with the city's shoppers because of their services – they offer lifelong free maintenance, one-year free insurance coverage and buy-back guarantee for all ornaments. If you love fine diamond jewellery, La Marquise is the place to go. Indulge in a magnificent array of diamond and gemstone jewellery ranging from classic to contemporary. Don’t miss their fashion forward jewellery lines comprising of Flex bangles, trendy chokers ear cuffs and so much more. Whether you’re looking for a statement piece or an inheritance that will be passed to the next generation, Dubai’s jewellery shops always have something to give. 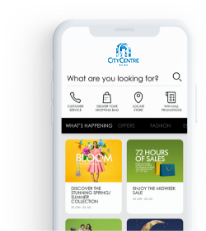 You can find the best prices and the biggest selections during citywide events like the Dubai Shopping Festival or the Dubai Summer Surprises when there are plenty of special deals available. Regardless of the occasion, the search for a thoughtful gift that shows how much you care can be challenging. That’s why we have created a list of the best gift stores in Dubai where you can find unique presents for kids and adults alike. Transform learning into playtime with a special gift from Early Learning Centre. They collaborate closely with educational experts to invent toys for young children that help stimulate their minds and encourage growth. The Borders bookstore has an extensive selection of books, toys, games and stationery that appeal to your child’s imagination. The brand also provides seasonal offers and promotions throughout the year on certain books. Do check out their offer on three books for the price of two. Kids and adults will love the official LEGO store at City Centre Mirdif. It provides the complete range of bricks and sets including LEGO City, DUPLO, LEGO Creator Expert, LEGO Friends, LEGO Star Wars, LEGO Simpsons and more! At Hamleys, your inner child may be tempted to run wild. As one of the world’s biggest international toy stores, it boasts of over 100,000 different toys and games. The branch also has a special kid’s party area and access to a Disney Cinema. MUJI is a Japanese brand that sells high-quality functional products with simple designs. Their products include clothing and home furniture. They also have stationery and office supplies that are unique and sure to be loved by anyone. If you’re visiting the city, don’t miss the opportunity to shop for some exquisite Arabian perfumes like attars, oudh and bakhoor - there are numerous brands available in Dubai. Other unique souvenirs include elegant pashmina shawls, camel milk chocolates and quirky sand glass decorations. Where to Look: Deira and Bur Dubai are the most preferred places to buy pashmina shawls. Many local supermarkets stock chocolates made from camel milk and sand glass decor. Virgin Megastore is best known for retailing the latest music from across the world. Besides this, their range also includes books, fashion, stationery, audio electronics and accessories, and a wide variety of films, documentaries and TV shows. Besides, they also stock tickets for music, theatre, sports and family events across the UAE. You can never go wrong with chocolate. The Sprüngli Boutique is an underrated gem where you can buy irresistible gift boxes of handmade Swiss chocolates - from pralines, truffles and bars to crispy gaufrette wafers and their famous Luxembourg macaroons. Seeking inspiration for a gift? These shops are sure to give you plenty of great ideas. If you’re still not certain, simply purchase a gift card at any of the City Centres. These cards can be redeemed at all Majid Al Futtaim malls. Kendall Jenner on the red carpet. For a lucky few, summer means glowing golden skin worthy of some serious selfie-snapping. But if like us, your skin is prone to heat-induced pimples, patchiness and other niggling skin concerns, scroll down below where we reveal the ultimate beauty hacks to whipping your pores into tip-top condition. We all know the importance of thoroughly washing our face daily, and while gentle cream cleansers might suffice during the cooler months when skin is at its driest. During summer opt for a slightly stronger formula to ensure skin is squeaky clean and rid of excess oil as well as any sunscreen residue that can clog pores. Our top pick, Avène Cleanance Cleansing Gel, will keep your complexion clean and refreshed without leaving skin feeling stripped. If our mother’s taught us anything in the beauty department it’s to always cleanse, tone and moisturise – and while you can now skip the middle step (toners can be overly-drying), a good moisturiser is key all year round. Swap thick and heavy cream formulas for a lightweight but deeply penetrating serum packed with Hyaluronic Acid – the Clarins Hydra-Essentiel Bi-Phase Serum is a new favourite. Whether you’ve got a few minutes spare in the morning or an evening free after work, take the time to treat your skin with a pampering mask. You’ll find a mask for every skin woe under the sun, be it resurfacing, rejuvenating or nourishing. But during the hotter months when skin can become congested, look for skin-clearing ingredients such as sulphur and salicylic acid. We can vouch for the GlamGlow Supermud Clearing Treatment - this multi-tasking mud mask draws out dirt and fights breakouts while brightening and softening skin. A beautifully decorated abode always makes for a welcoming atmosphere after a long day out. Take the time to invest in your space and pick up pieces to reflect your lifestyle and interests, whether that’s through ornaments, furnishings or books and photographs. The shopping malls in the Middle East are brimming with interior shops, from luxurious décor stores such as The One, Villeroy & Boch and Harvey Nichols Dubai, to more purse-friendly buys found in Zara Home, Crate & Barrel Dubai and Home Centre. Scroll down below where we share our top three buys to elevate any room in a flash. We spend more time in our bedrooms than anywhere else at home, so we say make it a little extra special with a few finishing touches, such as this luxurious white fluffy bedspread - a cosy addition for the cooler months ahead. Décor tip: Most of us sleep better in clutter-free rooms, with simple and soothing colour palettes. So opt for natural shades of whites and light greys or taupe. You can always add interest with different textures, fabrics and prints. A sleek cheese board is a guaranteed way to impress visiting guests. Load up this stylish marble board with a few of your favourite gourmet treats and garnishes. We’ll admit to having our fair share of untidy corners at home. No matter how hard we try, clutter just seems to accumulate - especially when it comes to children’s toys. Help keep any odd-ends from messing up your space with stylish baskets and boxes. One of the most widely used ingredients in perfumery, Oud is known by many names: Agarwood, Ood, and Agar. For thousands of years, oud and oud oils were held in great esteem in the palaces of kings and queens across Asia and the Middle East. In fact, oud features extensively in the Vedas of India, some of the oldest books ever written. The Oud scent is derived from a fragrant resin found in a heartwood native to Southeast Asia. Oud has an incomparably rich, woody scent that is both complex and pleasing to the senses. One of the most expensive natural raw materials in the world, oud is much sought-after for use in incense and perfumes. Oud perfumes are one of the best souvenirs that you can get from Dubai, for yourself or as a gift to someone special. Here are some of the best places to pick the fragrant souvenir. Ajmal is one of the most popular names in the world of oriental perfumery. With stores across the world, the brand has a long history of successfully predicting and meeting the needs of international customers. Customers at Ajmal’s stores are also allowed to mix, match and customise perfumes as per their preference. Arabian Oud specialises in oud perfumes and incense. The brand’s creations are designed to represent Arabian heritage and culture in its purest form. With over 750 stores in 150 cities and 35 countries, Arabian Oud is one of the largest manufacturers of Arabian perfumes in the world. The brand owes this success to the near perfect attention to detail they observe with all their products, from the mixing of the fragrances to the designing of bottles. Yas Perfumes is a highly respected perfume house in the Middle East. The brand offers some of the most innovatively designed Arabic and Western perfumesat high customer value. The company was founded with a vision to make high-end, exclusive perfumes more accessible to customers in the GCC. To this end, Yas Perfumes operates more than 42 outlets in the region. The flagship brand of the Paris Gallery Group of Companies, Paris Gallery is a leading luxury chainin the Middle East. The brand has a portfolio of over 450 product categories under its name. Paris Gallery’s storesfeature perfume and oud products from across the world, offering its customers an extensive range of oriental and western creations. Swiss Arabian prides itself of being able to offer its customers the perfect mix of oriental and western perfumes and oud products. Swiss Arabian’s creations are the designed using the brand’s extensive knowledge of perfumery and manufactured using modern technology. One of the first perfume manufacturers in the UAE, the brand produces more than 35 million perfumes annually and exports to over 80 countries. In addition to these, the city of Dubai offers you many more options to indulge your love for Oud and Oud fragrances. Be sure to check out stores likeAl Rasasi Perfumes,Al Haramain Perfumes,Abdul Samadal Qurashi, Areej,Khas Oud & Perfumes, L'Occitane, Jo Malone and Sephora. Abayas have a very important role to play in the daily life of an Arabwoman. Abayas are often seen as a symbol of a woman's devotion to her culture and her faith. In the Arab world, a woman in an abaya is held in great esteem, respected for her modest beauty and her refined taste. Even in the 21st Century, abayas have retained their status as a garment of cultured elegance. The modern abaya is designed to be functional and fashionable, without compromising on traditional values. Below we explorea few stores,located at the leading malls of Dubai, thatoffer both traditional and modern versions of abayas to cater to the varied needs of the Arab woman of today. Hanayen is one of the foremost brands for sheilas and abayas in Dubai. Well known for their unique and exclusive designs, Hanayen's creations offer a modern twist to the traditional Arabian attire. In addition to their custom-made creations, Hanayen's collections feature sheilas and abayas in a variety of elegant designs and styles to reflect every woman's individuality and taste. Founded in 1990 in Dubai, the brand has grown exponentially over the years and today operates 12 retail stores across the UAE and 2 stores in Oman. Over the last three decades, Al-Motahajiba has become one of most well-known fashion brands among Arab women. The brand is famous for its ability to marry traditional Gulf styles with modern trends in fashion. Al-Motahajiba offers a wide selection of fashionable indoor and outdoor clothing for Arab women. Al-Motahajiba not only designs its own creations, but also manufactures them. Today, the brand operates over 36 branches in the Middle East, out of which 10 are in the UAE. Kashkha" translates to "elegant" in English.The brand is very popular among Arab women for its flowing fabrics with intricate handwork, sophisticated prints and embellishments that represent the rich Arab heritage and legacy. The brand combines traditional and contemporary trends to create affordable, stylish and modest designs for the modern Arab woman.To maintain its assured level of quality, Kashkha's creations are manufactured at the brand's own facilities using high-quality hand-picked fabrics from across the world. Today, Kashkha has an extensive distribution, sales and retail networkspread across 4 continents. So, if you're in Dubai for a day of shopping and looking to pick an abaya or any other traditional Arab wear for women, you know where to go. In theory, birthdays, anniversaries and Christmas parties would be less stressful if one could remove the legwork involved in getting “the perfect present”. Of course, if you’re in Dubai, it’s a feat if you are caught unprepared. The city is jam-packed with gift shops, so it’s best to narrow down your search to a particular area that yields good variety and value. That’s why City Centre Mirdif is a great place to shop for presents – you get a broad range of gifting ideas for all occasions. Here are some of the best gift shops at City Centre Mirdif. Why not get your child a gift that stimulates their curiosity and creativity? Early Learning Centre Dubai is a convenient hub for every type of indoor-outdoor children’s toys from hundreds of brands. ELC takes pride in the toughness of their products, tested according to the brand's website by being pushed, thrown, squashed, knocked over, poked and even licked! Hallmark specializes in greeting cards but has a select range of gift items, stuffed toys, and souvenirs. The brand’s products tend toward classy and elegant, so they’re a safe bet for corporate gifting as well as anniversaries. If you want to make a gift special, make it personal. Paperchase allows you to create customized stationary for your recipient from their online store. The brand retails stationary, greeting cards, gift items and craft materials which are beautifully designed and distinctly quirky. Bonus points for combining good looks with practicality. You may not know Sanrio, but who hasn’t heard of ‘Hello Kitty’? The brand oozes cuteness in every product from school stationery and toys to home and lifestyle accessories, travel kits, cosmetics and even fashion clothing. ‘Hello Kitty’ is a good choice, unless your recipient is male and above thirteen years old - in which case, avoid it. Virgin Megastore Dubai has an excellent collection of music CDs and DVDs as well as video games, collectibles, and gift items. But if you want to gift an experience instead of an object, Virgin Megastore also has a physical and online ticketing platform that gives customers access to the best music concerts, festivals, clubs, theatricals, sports events and theme parks. Finding the perfect present doesn't mean you have to do tons of legwork. If you're in Dubai, gifting doesn't get any easier than this. Arabic perfumes have a distinct and exotic scent that makes them unique and instantly recognizable. They offer the wearer an experience of rich luxury, and the warmth of a heritage that spans millennia. Perfumes and scents have come to play a very important part in the everyday life of Arabs. They are one of the first civilisations in the world to have adopted perfumes as a part of their daily life. The use of perfumes in Arabic society dates back almost 5,000 years. In fact the modern perfume industry owes a great deal to ancient Arabic perfumery. Over the past three decades Al Rasasi Perfumes at City Centre Mirdif, has built a worldwide reputation for creating exclusive oriental and western fragrances that are unmatched in quality, luxury and elegance. The Dubai-based brand offers its customers an expansive portfolio of perfumes that vary in notes, types and applications. Al Rasasi’s fragrances are designed and manufactured at a state-of-the-art facility by skilled perfumists and exported to over 50 countries across the world. In addition to this, brand operates an extensiveretail and distribution network across the GCC. Founded in the holy city of Makkah in Saudi Arabia, Al Haramain Perfumes at City Centre Mirdif has over four decades of experience in manufacturing innovative, high-quality oriental perfumes for customers around the world. The brand specializes in Arabic fragrances, and each of its creations has a distinctive personality and offers a unique combination of the exotic and the contemporary. Swiss Arabian’s perfumes are designed with an expansive knowledge of legendary Arabian perfumery, oriental craftsmanship and ultra-modern technology. The brand operates with a vision to offer its customers the perfect mix of oriental and western perfumes. One of the first perfume manufacturers in the UAE, Swiss Arabian produces more than 35 million perfumes annually and exports to over 80 countries. Yas Perfumes is said to be one of the most distinguished perfume houses in the Middle East, offering some of the most innovatively designed Arabic and Western perfumes at high customer value. The company was founded with a vision to make high-end, exclusive perfumes more accessible to customers in the Middle East. To this end, Yas Perfumes operates more than 42 outlets in the region. In addition to these, the city of Dubai offers you many more options to indulge your love for Arabian fragrances.Be sure to check out stores like Abdul SamadalQurashi, Ajmal, Arabian Oud, Areej,KhasOud& Perfumes, Paris Gallery, L'Occitane, Jo Malone and Sephora.